Major Issues Bulletin 30 - EDP English Democratic Party. LET THE PEOPLE DECIDE! -NOT THE PRESS! OUR ONCE FREE COUNTRY OF ENGLAND AND ALL THE PEOPLE HAVE YET TO SPEAK! THE ENGLISH PEOPLE HAVE NOT YET SPOKEN! 'To stand up straight and tread the turning mill. To lie flat and know nothing and be still. 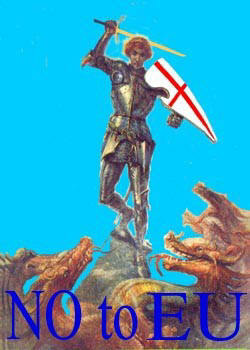 'To take an interest in the sacred compact of freedom of the English people of over a thousand years. Awake,arise, or be for ever fall'n. Home Rule for Scotland WHY NOTHOME RULE for ENGLAND? ****A DISUNITED KINGDOM****BOTH SIDES OF THE BORDER BACK SCOTS INDEPENDENCE****NEW LABOUR HAS DESTROYED THE UNION- SO USE THE WORDS ENGLAND AND ENGLISH-NOT BRITISH****NEW LABOUR'S LEGACY-THE GHETTOSIZATION OF ENGLAND****UNLESS WE TAKE CONTROL OF OUR LIVES WE WILL LOSE OUR FREEDOM AND IDENTITY****OUR PAST IS EMBEDDED IN OUR NATIONAL CONSCIOUSNESS -IT ASKS WHERE WE CAME FROM AND WHO WE ARE . 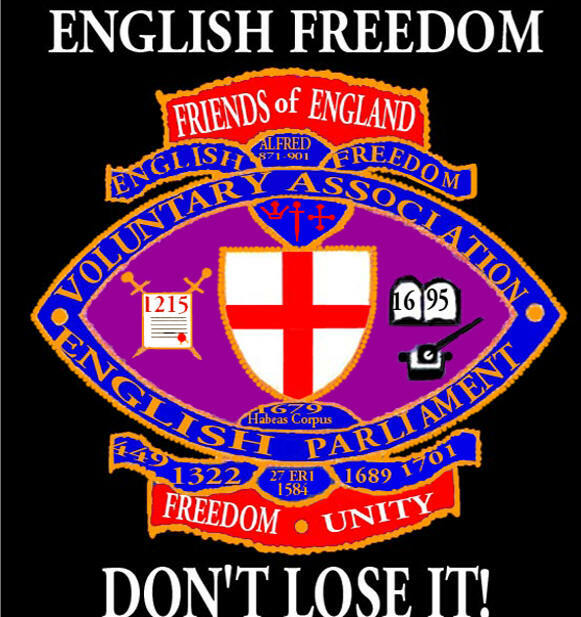 ****.THE SOUL OF ENGLAND PT 1/ **** THE SOUL OF ENGLAND PT 2/ **** WHY ARE WE ENGLISH MADE TO FEEL GUILTY/**** DON'T LET THEM DESTROY OUR IDENTITY/ **** NOR SHALL MY SWORD/**** WHY CAN'T WE HAVE A RIGHT TO BE ENGLISH-PT1-/ **** WHY CAN'T WE HAVE A RIGHT TO BE ENGLISH-PT2/**** ENGLAND IS WHERE THE MAJORITY VIEWS ARE IGNORED AND MINORITIES RULE AT THEIR EXPENSE IN POLITICALLY -CORRECT BROWNDOM/**** ALFRED - CHRISTIAN KING OF THE ENGLISH-PT1- /**** ALFRED - CHRISTIAN KING OF THE ENGLISH-PT2/**** ENGLISHMEN AS OTHERS SEE US BEYOND OUR ONCE OAK WALL./**** ENGLAND ARISE! - TODAY WE CLAIM OUR RIGHT OF SELF-DETERMINATION/ **** KISS GOOD BYE TO YOUR SOVEREIGNTY AND COUNTRY / **** ST GEORGE'S DAY-ENGLAND'S DAY/****ST GEORGE'S DAY - 23APRIL - RAISE A FLAG ON SHAKESPEARE'S' BIRTHDAY****EU WIPES ENGLAND OFF THE MAP**** AN OBITUARY TO YOUR COUNTRY WHICH NEED NOT HAVE HAPPENED****THE ENGLISH DID NOT MOVE THEMSELVES SO ARE NOW SLAVES IN A CONCENTRATION CAMP EUROPE****"...What kind of people do they think we are?" by WINSTON CHURCHILL**** THE SPIRIT OF ENGLAND BY WINSTON CHURCHILL. I hate the term, partly because I associate it with vainglorious and out-of-date expression’ Great Britain’-never in a thousand years did we boast of ‘Great England’- and partly because I detest a ‘Brit’, a horrible term, mainly abusive. [We must here give our reason for the EDP view which supports a ‘Greater Britain’ but only when it includes the Independent Nation States of Wales, Scotland and England and associated with the consent of the People of Northern Ireland -under one Crown. The EDP primarily came into being to fight for the right of an Independent Nation State of the English People and particularly more so now when the Scottish People have their own Parliament and Wales at present an Assembly. There is always the possibility that Scotland will take its full UDI Independence in a few years and decide to remain in the EU whilst England becomes again after almost three hundred years an Independent Nation State, out of the EU -with the world her market, and retaining her Constitution of over a thousand years in the making. Wales may eventually obtain its own Parliament if their People decide and also to remain in the EU. Brit was first coined by Irish nationalists and is now used by all kinds of people, including some skulking British themselves. Last year, at a high-powered Anglo-Spanish conference in Spain attended by many politicians, I asked to compose and read a prayer at a special service in Grenada Cathedral. I referred to ‘the Queen of England’ the expression I have always used. Instantly, the Secretary of State for Scotland and his Tory opposite number formed up and complained to me. Apparently I should have said: The Queen of the United Kingdom of Great Britain and Northern Ireland. Echoing these views, Chancellor Gordon Brown is today making a speech in which he insists most people think of themselves as British. But, like many other English people, I am not going to put up with this petty nationalist bullying any longer. I am determined to assert I am English, not British, and to write English not British, and to write ‘England’ whenever I am allowed to. There are good historical reasons for English pride. Our culture and nation, whatever you like to call them, were predominantly created by England and the English. And if anyone asks me for an explanation I can give them seven solid reasons. First, it was the English who produced Magna Carta, the first statute of the realm, in 1215. This wonderful document is the basis of the system of justice and liberty which not only we, but the United States of America, Canada, Australia, New Zealand and scores of other countries, our political offspring and our imitators, have adopted. Second, it was the English Parliament that passed the ‘Bill of Rights’, the first specific formulation of political morality, more than a century before the French came up with the ‘Rights of Man’. Third, the English, in 1649, were the first to assert the absolute paramount of the Rule of Law, and insist that even the State is subject to it, underlining the point by executing the embodiment of the State, King Charles 1. Fourth, we were first to proclaim the freedom of the Press in the noble words of the Areopagitica by our great epic poet John Milton. Fifth, it was England, by virtue of the power of her Royal Navy first created in the days of King Alfred more than a thousand years ago, which began the process of proclaiming and then enforcing the freedom of the seas, the right of all nations to carry goods and persons peacefully in all the seas and oceans of the world. This was the beginning, the first, all -important move towards a system of international law. Sixth, and leading from this, it was a national agitation in England, which led Parliament to outlaw the slave trade in 1807. We were not the first to ban the trade-that honour goes to Denmark. But it was the Royal Navy, which made the ban effective, thus initiating 200 years of struggle to make all races equal before the law. Yes, it was we ‘racist’ English who did that! Seventh, it was the English who, with sterling, produced the first stable, honest and reliable currency, and the model for all the others, the first fair and efficient financial instrument, in the Exchequer, and the first example of an honest and disinterested civil service. This is a record of achievement, in creating practices and institutions that are of crucial value in the world, which is without parallel in history. Not even the Israelites, the Greeks or the Romans can match it. So if we want to call ourselves English, to insist that we are people in our own right, that we are English first and British second, no one has more right than we do. But, come to think of it, we English are also remarkably effacing. We do not choose, and we do not need, to parade our Englishness. The facts of history speak for themselves. So in all probability we will continue to put up with these pinpricks. We are big enough to bear them. We have our faults, but there has never been anything petty about the English. But, take warning, the rest of you-don’t pull the Lion’s tail too hard. The City of London is governed by the Illuminati-Freemasons and they are governed by their god Lucifer/Satan. The Bank of England owns the Central Banks established around the world, and this is the real power of the modern British Empire. One example is the United States Federal Reserve Bank , which is wholly owned by the Bank of England and her subsidiaries. Thus the world has been enslaved by the Illuminati-Free-Mason conspiracy which exacts her tribute through interest on their various currencies. "Historically all British military colonies with white populations such as Australia, New Zealand, Canada and South Africa were under the authority of the Queen and her Government. Whereas all other brown 'slave' colonies such as India, Egypt, Bermuda, Malta, Singapore, Hong Kong, Gibraltar and the African nations were the private property of the Crown, which is the separate board of the City of London. These colonies were exploited for slave labor and trade, to make the cartels richer and more powerful."